Niantic explains why it removed sites like Pokemon Go in a new update. Days after putting the kibosh on third-party tracking sites like Pokevision, Pokémon Go developer Niantic explained why it was in a rush to do so. According to an update on the official Pokémon Go website, the issue was primarily due to those sites being a drain on resources. Niantic blames third-party sites for server issues. "As some of you may have noticed we recently rolled out Pokémon Go to Latin America including Brazil. We were very excited to finally be able to take this step," wrote Niantic CEO John Hanke. "We were delayed in doing that due to aggressive efforts by third parties to access our servers outside of the Pokémon Go game client and our terms of service. We blocked some more of those attempts yesterday. Since there has been some public discussion about this, we wanted to shed some more light on why we did this and why these seemingly innocuous sites and apps actually hurt our ability to deliver the game to new and existing players." Niantic focused on the negative aspects of sites like Pokevision, noting that trying to correct for third-party site traffic was preventing the company from working on new features. "In addition to hampering our ability to bring Pokémon GO to new markets, dealing with this issue also has opportunity cost. Developers have to spend time controlling this problem vs. building new features," said Hanke. "It's worth noting that some of the tools used to access servers to scrape data have also served as platforms for bots and cheating which negatively impact all Trainers. There is a range of motives here from blatant commercial ventures to enthusiastic fans but the negative impact on game resources is the same," he added. "Of course, there are also outright hackers out there attempting to break into systems, hijack social media accounts, and even bring down the service. We don't expect these attempts to stop. But we do want you to understand why we have taken the steps we have and why we will continue to take steps to maintain the stability and integrity of the game." It's clear that launching in Latin America was rather important to Niantic, despite existing issues with the game. The company has promised a fix for the broken tracking system that led to third-party tracking sites, but there's no estimated release window on that. In fact, an improved tracker was not listed in update at all. In addition, the last update actually made it harder for players to catch Pokemon. 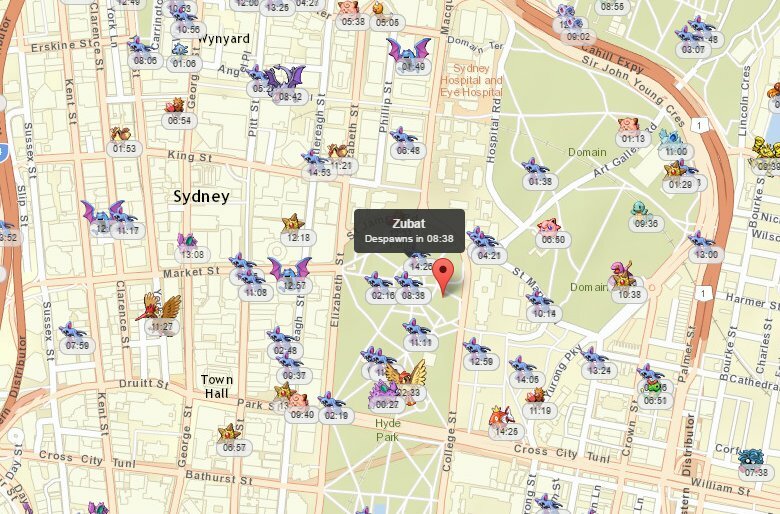 The update removed the step tracking system completely and the battery-saver mode on certain platforms, while a new bug increases the odds of escape by Pokemon. At least they're talking now, right?